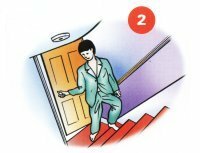 If you don't have working smoke alarms in your home, your chances of surviving a fire when you are asleep are almost zero. Test your smoke alarms every month and replace batteries once a year. 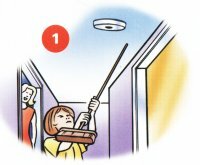 If your smoke alarms keep going off, don't disconnect them. they are only doing their job. Ask the Fire Brigade about the best place to put them so that they won't keep going off, for example. when you are cooking. 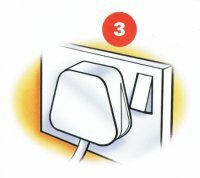 The more electrical appliances you can switch off at the wall socket, the safer you will be. Check gas appliances and put a spark guard in front of open fires. Put out cigarette ends and candles properly. Always keep matches and cigarette lighters away from children. Knowing what to do and acting quickly will save lives. 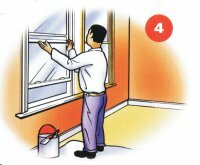 Regularly take a few minutes to 'walk' the escape route with everyone in your household and check that everyone can unlock and open doors and windows easily. Review your plan regularly, especially if you make changes in your home. putting out cigarettes and candles safely, and keeping matches and lighters away from children.